Chances are you’ve seen some of the signs around campus talking about the X Ambassadors, but some of you might not realize who they are. Don’t be embarrassed! They’re an up-and-coming band and they are playing our Spotlight Series show tomorrow, February 26th, in TDU at 7p. 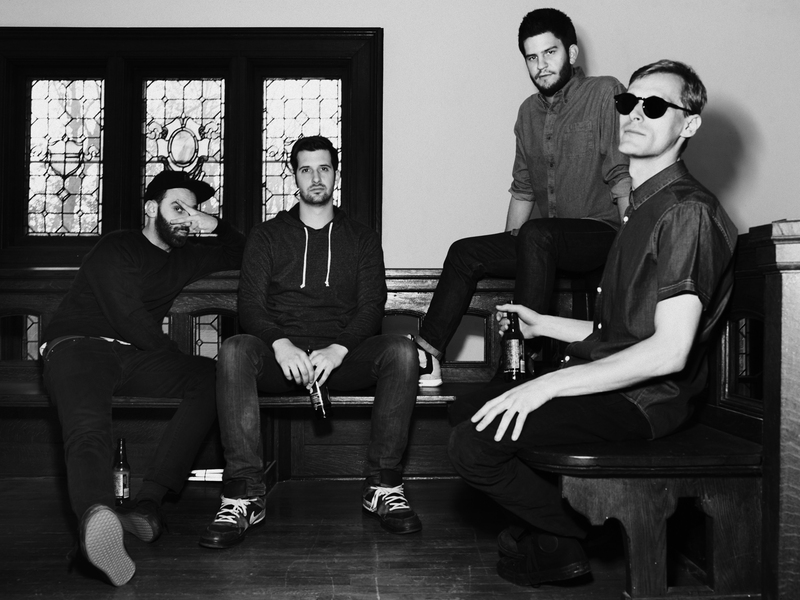 The X Ambassadors are an American alternative rock band from Brooklyn, New York. Their sound is a mix between fun. and Imagine Dragons with a little bit of the Postelles thrown in there for good measure. If you’re a huge fan of Imagine Dragons, you might have caught the X Ambassadors opening for the band on their most recent tour. Also, if you’re a huge fan of the music festival scene (or if you’re like me and constantly lamenting the fact that you couldn’t get tickets…) then consider this TDU show a little preview before they go on to play the Firefly Music Festival later this June. Then, when everyone goes to Firefly and comes back talking about that sick new band called the X Ambassadors you can say you saw them first and for FREE. “Unconsolable”: They recently released a music video for their most well-known song “Unconsolable”. Quite a heart-warming watch. Despite the song having minimal background instrumentation for the majority of it (it’s mostly just singer, Sam Harris, and drummer, Adam Levin pushing the song along), it still makes you want to groove around on linoleum floors in some tube socks, that is if you ignore the incorrect grammar of the title. “Down With Me”: This song really highlights singer Sam Harris’ fantastic vocals. With more of a pop-mixed-with-folk feel to it, this song lulls you into a false sense of security that it’s going to let you stand there and sway back and forth with the crowd. Once it hits the bridge, though, and Harris hits that high note (listen to it and you’ll know what I mean), you’re not going to want to do anything but jump around and try to hit that note with him. “Love Songs Drug Songs”: This is the song that would sell out a Stomp concert if Stomp was actually cool and if Stomp had Adam Levin doing everything for them. The intensity of Levin’s drumming is what allows Harris’ vocals and Noah Feldshuh’s guitar to reach that next level. Casey Harris’ subtle but sweet keyboard tones keep this song just on the right side of overpowering. THE SHOW: Interested? Yeah you are. The X Ambassadors will be playing TDU this Wednesday, February 26th at 7 pm, which will be the perfect time to snack on FREE Campus Cookies.